The truth is, I am not very flexible, not a very fast runner, and have the hand-eye coordination of a drunk Tyrannosaurus Rex. It’s not surprising, then, that after failed attempts at ballet, soccer, gymnastics, and volleyball, along with a mediocre couple of years in track, I concluded that sports just weren’t for me. Luckily, by my mid-teens I changed my perspective and started to figure out what worked for me: I was strong. I could put on muscle quickly for a woman-child of my size, and I was (slightly) more graceful in water than outside of it. I took up swimming. Later, weightlifting. I wasn’t particularly interested in competing in either sport–I just liked the feeling of improving, I liked the way my body started to look, and I liked being able to eat copious amounts of cake with limited consequence. After spending the first roughly 1.5 decades of my life convinced that my clumsiness and lack of coordination would keep me from ever feeling physically graceful or powerful, I cherish anything that gives me those feelings. On the road, away from my free weights, that often means swimming laps in whatever ocean or sea we happen to be near. Now, I can add another activity to the list: surfing. 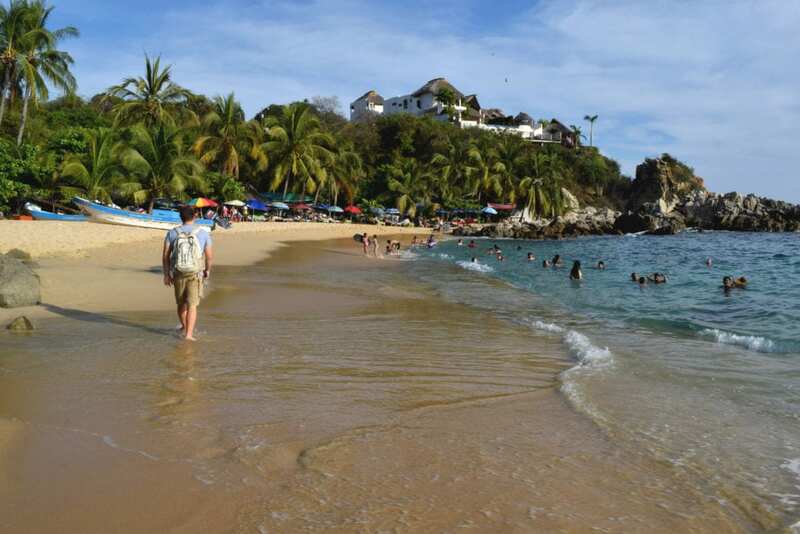 Jeremy and I came to this beach with one goal in mind (other than relaxing after the hustle and bustle of Mexico City and Oaxaca City): try out surfing lessons in Puerto Escondido and figure out if we could manage to get (and stay) up on our boards. 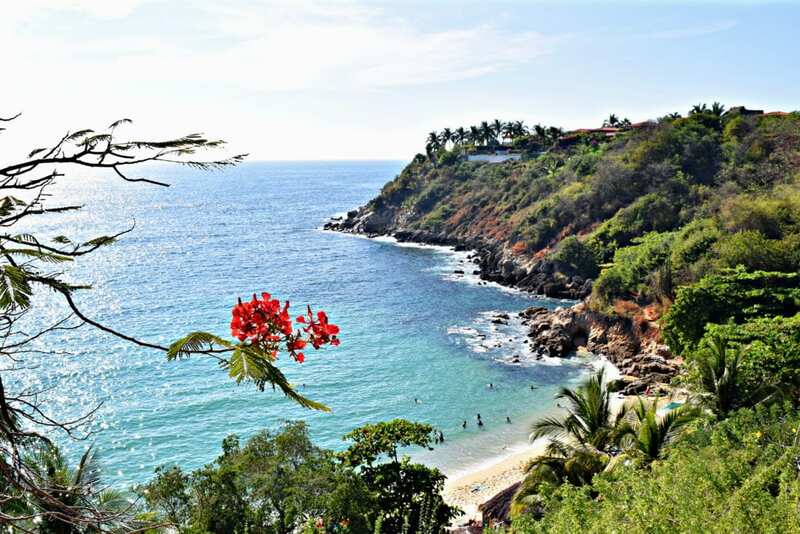 Puerto Escondido, Mexico is home to fish tacos, several surf schools, some skate ramps that give me Rocket Power flashbacks (hello, old school Nickelodeon), and, at least according to the people who give surfing lessons in Puerto Escondido, some of the best surfing in the world. December is the “off” season here, meaning small waves that won’t terrify and/or maim novice surfers. From May-October, the waves are regularly 6-8 feet tall–often more! We took two lessons with Oasis Surf School (we were also staying in an Airbnb belonging to the nephew of the school’s owner, by coincidence), each about two hours long. There was at least one instructor per two students, which was good–at the utterly novice stage we are at, each wave requires personal attention. It took a few tries, but it worked! 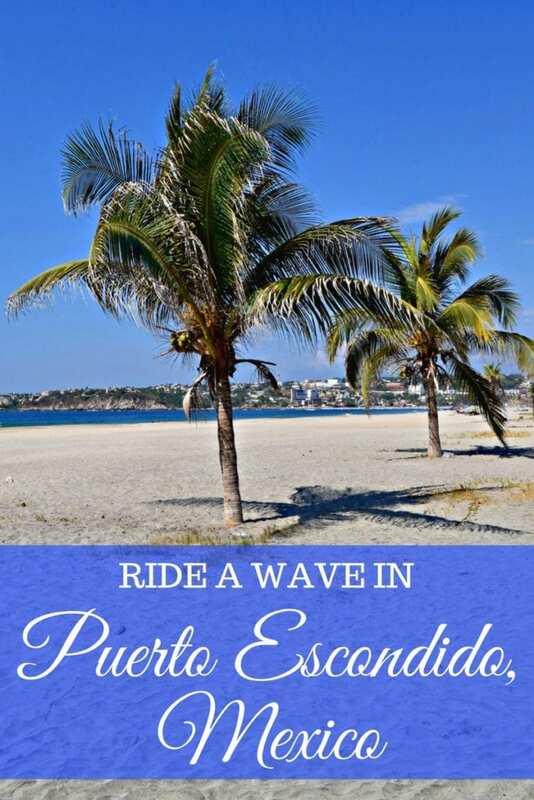 Jeremy and I both successfully rode several waves during our surfing lessons in Puerto Escondido, which was the most exhilarating athletic experience that I’ve had in quite some time. I’ve always been obsessed with the ocean, but the memory of standing up on a surfboard for the first time, hovering over the water as the Pacific Ocean propelled me forward and I kept my eyes glued the deserted beach and palm trees ahead–that’s a sensation that’s going to stick with me. On top of being exhilarating, we quickly learned that surfing is exhausting. Even excluding the muscles used for standing and balancing on a moving surfboard, or the ache that quickly began developing in my shoulders from paddling, getting back out to sea after riding a wave in was quite the chore. The powerful waves were happy to carry us toward the beach, but fought us tooth and nail on the way back: I imagine that I spent 70% of my energy from surfing fighting to get past the powerful breaks again. Each time a strong wave came it would push me back and the poor surfboard that l left floating behind me whenever a strong wave approached (to keep it from pummeling me) tried to yank me back to shore via the “leash” attached to my ankle. Surfing requires more patience than I generally have for sports–waiting for the perfect waves takes time, and my tendency to get motion sick from bobbing in the water added another layer of frustration. Even slightly nauseous, though, it was worth it–every time I successfully stayed up on my board, I completely forgot about feeling sick and instead felt an enormous rush of joy. When we eventually made it back to our Airbnb after our surfing lessons in Puerto Escondido, we were starving, sunburned (incredibly copious application of sunscreen only did so much), and deliriously tired–but we were also smiling. 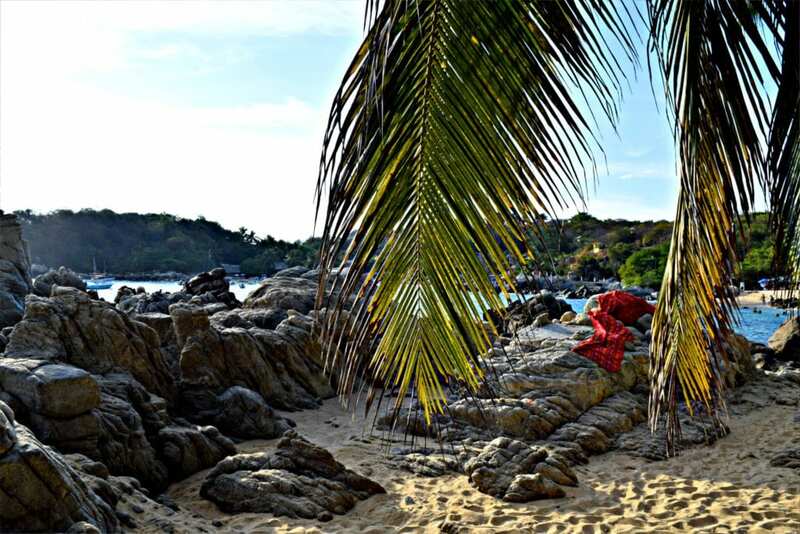 There are surf towns in El Salvador, Nicaragua, Costa Rica and Panama dancing around in our minds, and we sincerely doubt that our surfing lessons in Puerto Escondido will be the last time that we hop on a surfboard during this trip… and we doubt that this trip will be our last time in Puerto Escondido. 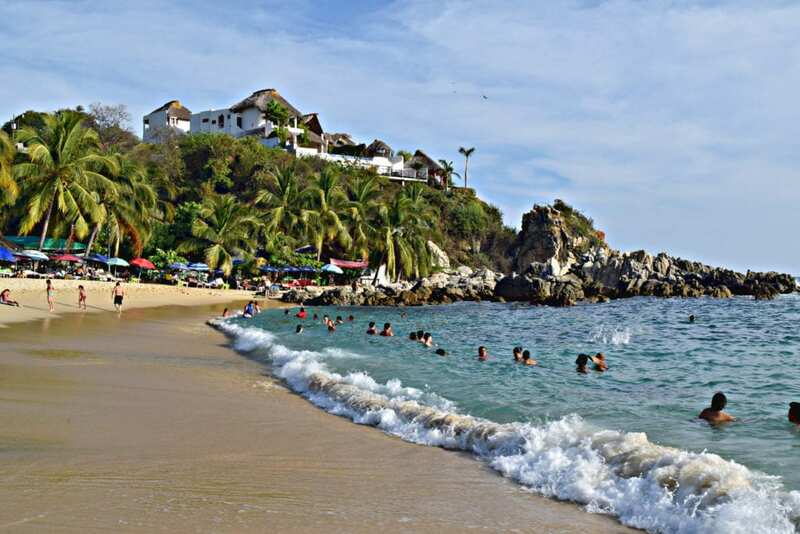 After all, there are plenty of waves to surf and amazing things to do in Puerto Escondido.